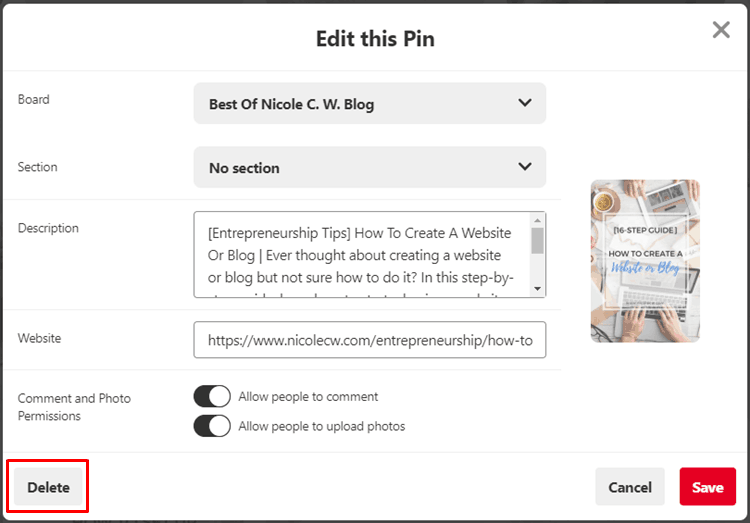 Pinterest Tips & Strategies (To Explode Traffic & Shares) | Nicole C. W.
As an entrepreneur, one of the biggest challenges you will face is driving traffic to your newly created website. Last but not least… social media! Facebook will definitely be the first channel that comes to mind. But have you thought about Pinterest? Pinterest is also one of the top few social media channels to drive traffic. In order to get more in-depth analytics, consider switching to a Pinterest business account. You can do this in 2 simple steps. If you use Pinterest for yourself, I highly recommend that you sign up with your business email. This way, your personal email is for your personal Pinterest while your business email is for your business. You can keep both accounts separate (unless you don’t mind them overlapping). Just like most people advocate that you should keep your personal and work lives separate, I believe that the same applies to Pinterest. You don’t want to pin your favorite rock stars and cheesy rom-coms and hence, create an unprofessional image for your business right? Instead, you want to pin related articles to your products and services to show that you’re up-to-date with industry news. The next thing you need to do is to claim your website. This way, people can click to your website to learn more about your business when they view your profile. 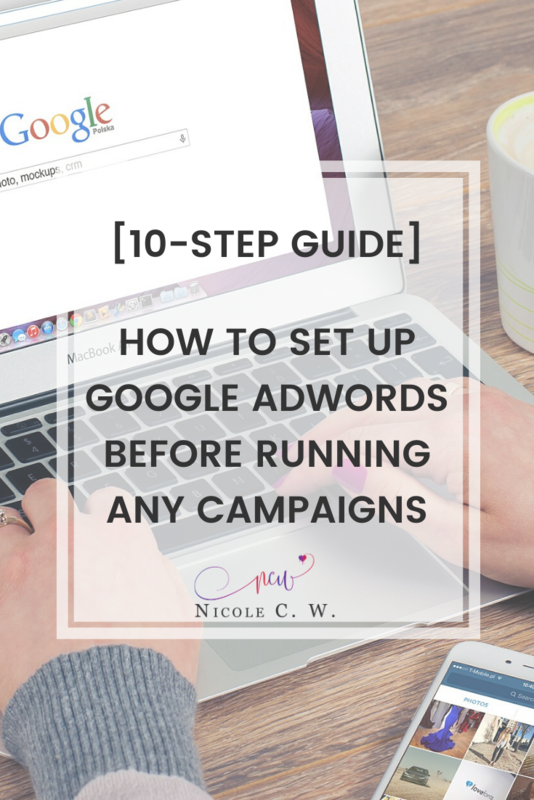 Here’s how I did it with my web hosting provider, SiteGround. In this case, I uploaded the HTML file to my web server at the root folder. 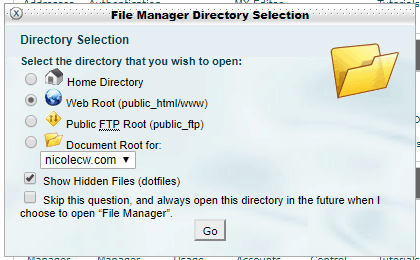 First, go to SiteGround’s cPanel and access File Manager under the Files section. Open the default web root directory. Once your website is claimed, you can see website analytics. Next, modify your settings. Ensure that you look through each and every one. Do include keywords in your profile (business name, about you). Also summarize who you are, what you do and what you sell. You can also showcase up to 5 of your best boards. 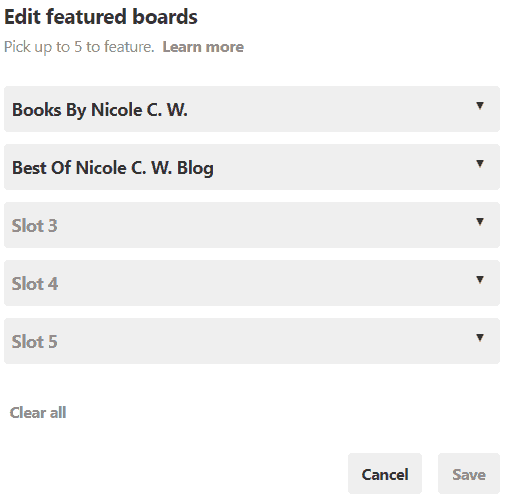 This could be boards that consist only of pins to your website, blog or products and services. Rich media has a positive impact on SEO. 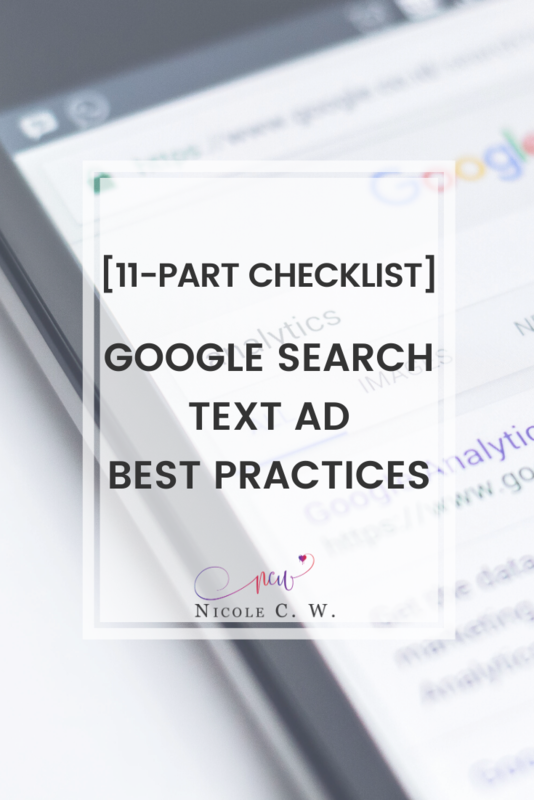 By adding additional details, you help search engines better understand your content. You can enable rich pins for your site using Yoast. You should have established some branding for your business. Or at least, a main color and font that you always use for your website, logo and other social media channels. Now, use that color and font for your Pinterest board covers and pins. Or you can create 1 graphic as your base template then duplicate it for future board covers and pins. By having these consistent brand elements in all your content, you help build brand awareness. In time, people will recognize and remember your brand. After creating 1 pin, duplicate it then tweak the graphic so that it retains your branding while being different from the original. The point is to A/B test and see which works. 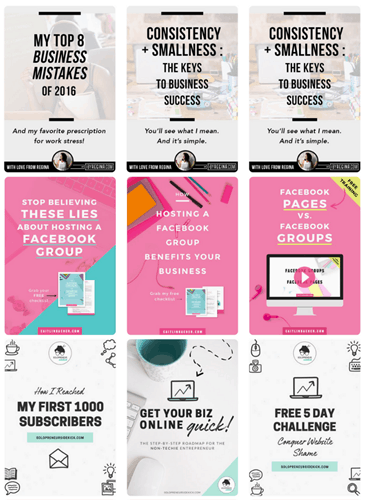 You need to create at least 2-3 Pinterest graphics for the same link. This way, you have more pins to the same page and a higher chance of going viral with one of these pins. But your work isn’t done after creating graphics and pinning them. You will need to analyze your Pinterest data and delete ill-performing pins. This could be pins with high impressions but low clicks or shares. Or simply pins that now lead to error pages. However, try not to delete pins to your site. No matter how poor the performance is for these pins, each pin is still a door for customers to reach your site. I wouldn’t delete them unless you’re reaching the maximum limit of 200,000 pins. To delete a pin, you just have to hover over the pin then click on the pencil icon to edit it. There will be the option to delete the pin at the bottom left corner. Another way to explode your traffic is to join relevant Pinterest group boards. If you find yourself frequently pinning about certain topics, you can consider joining groups related to these topics. For instance, I blog about entrepreneurship, marketing and self-publishing. I will then join groups related to these 3 topics and pin my blog posts there. At the same time, I’m also an indie author who has published a few books. 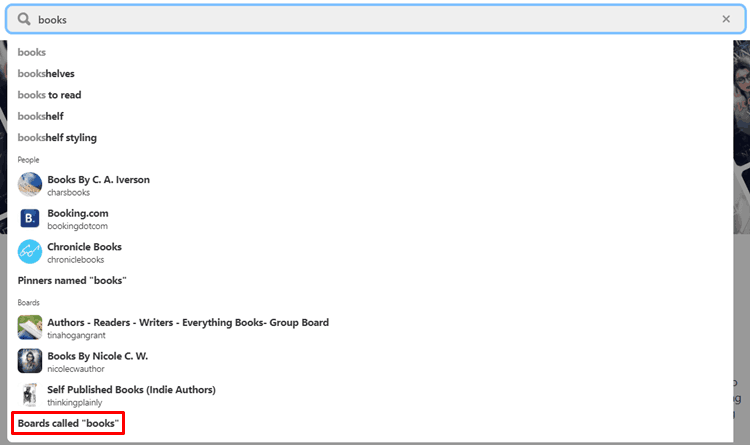 Hence, I’ve joined book-related groups and promote my hot new releases there. You can use the search function in Pinterest itself to find relevant groups or visit PinGroupie for a list of group boards. What other tactics have you implemented that helped boost traffic from Pinterest to your website? Or do you have any secret tips that you would like to share about making a pin go viral?